Who are South London Women? Founded over 24 years ago, we are an independent, diverse and welcoming football club where women can play the beautiful game in an environment is specifically set up to improve footballing ability. 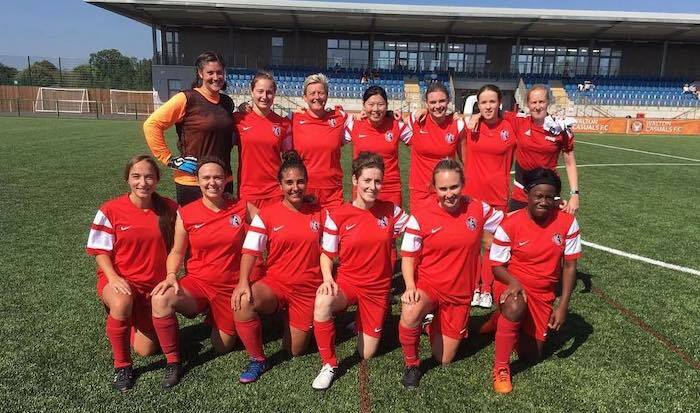 Based in and around Clapham, we've been the backbone of women's football in South London and have provided an opportunity for over 1000 women to play over the decades. We have wealth of experience and a passion for the game. We welcome anyone who has an intelligent and dedicated attitude towards football. We have created an environment where everyone can improve their football ability by working with experienced coaches and players. Our teams are diverse, but there are two things that are common, we want to play good football and we all get on with each other – we work as hard at our social activities as we do at our football. We have three teams, which reflect our commitment to improving our standard of football. The Saturday team plays in a friendly league and allows people who haven't played football much before (or are coming back to it) to get into the swing of things. 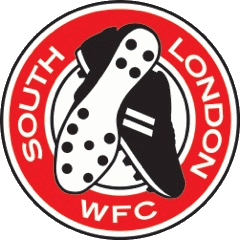 Our two other teams play in Divisions 2 and 3 of the Greater London League which allows people to progress into higher standards of football. SWLFC exists for its members, everyone has a voice in the club and agrees to the values and principles of the club.